It's common to see rings and necklaces made of precious metals combined with precious stones but this is truely something special. It's a ring fashioned out of a giant 150 carat diamond. It was made by Shawish, a Swiss jewelry company and is priced around $70 million. 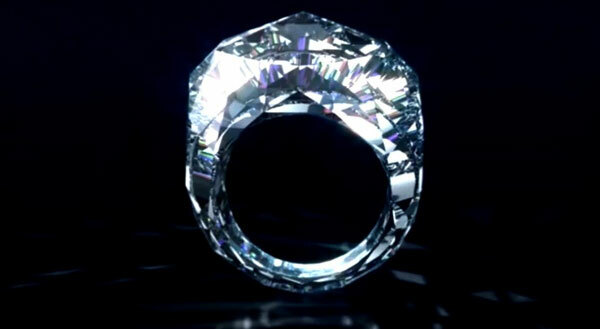 This makes it the world's first all diamond ring.